You Pet: Win a $100 Petco Gift Card!!! Join The Internet’s Premier Social Network For Pets. Create a profile for you and your pets. Make friends, watch videos and use forums. Win a $100 Petco Gift Card every week. Create your FREE Profile Now. Cesar Dogs Food: BOGO Printable Coupon! Due to the technical difficulty some of you experienced on our Lickety Stik tab, we have increased the limit to 25,000 to make sure everyone is able to grab one! 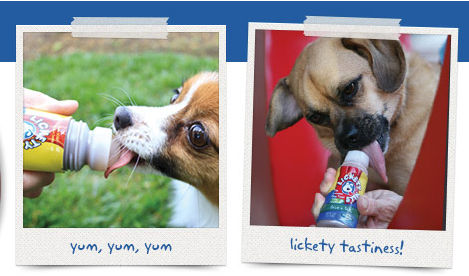 Hurry over to the PetSafe Facebook page, to score a FREE Dog or Cat Lickety Stik! Today Doggyloot is offering quite a few great deals! 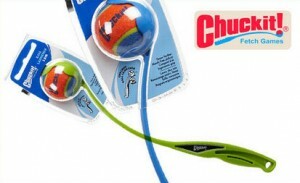 Get a Chuckit! Outdoor Launcher for only $10 (a $14 value) - shipping included! If you’re new Doggyloot, you will receive a $5 credit right away which makes your total just $5! This handy product allows you to play a hands-free game of fetch (which also means slobber-free). The launcher also features an ergonomic grip. With this deal, you’ll get an 18″ launcher in either red, blue, or green, as well as a compatible ball. Shipping is included in the deal price. All orders ship via UPS Gound and will arrive within 6 – 8 business days to the address you provide at checkout. 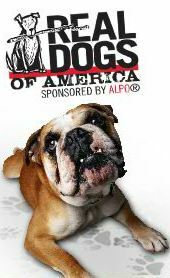 If you have a puppy or are thinking about getting one, this is a great FREE Purina puppy ebook! It has great tips and tricks on how to get your puppy used to its new home. Wish when we got our puppy we had this book. Purina is a great brand to take care of your dog, so show your puppy love! Get Purina’s FREE Puppy Care eBook today! *HOT* FREE Purina’s Puppy Care eBook + FREE Samples and Speical Offers! Do you have a new puppy, know someone who does, or planning on getting one? If so, you’ll definitely want to get this next FREEBIE! Learn how to love your puppy with Purina’s FREE Puppy Care eBook plus receive special offers and samples from Purina for registering! 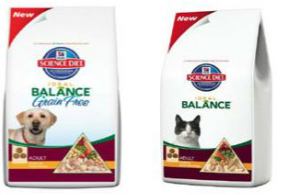 Head over to Rocky and Bella to score your FREE sample of Spark a new pet food supplement. If you have fur babies in your life, this sounds like a great supplement to try to give them a long and healthy life. Doesn’t say how many they are giving out, so you might want to get your information in before they are gone. Your sample should arrive in the mail in 6-8 weeks! Family Dollar Store: FREE Snausages Dog Treats with New Coupon! You can get some FREE Snausages Dog Treats from Family Dollar Stores! There is a new $1.00 off when you buy any ONE Snausages brand dog snacks coupon and they are only $1 at Family Dollar stores – so completely FREE! FREE Wellness Cat Food at Petco! 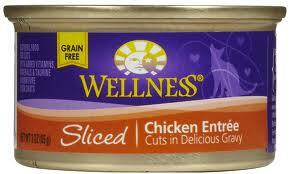 There is a FREE 3oz can of Wellness, Cubed, Sliced or Minced Cat Food (up to $1.49 value) coupon available to print on Petco’s website. This offer is good in-store only; must present your Pal Rewards Card and coupon to redeem! Coupon expires 6/30. 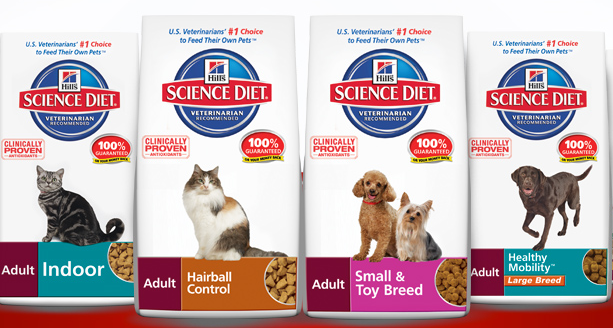 In honor of Memorial Day, Science Diet released a limited amount of $5 off on any bag of Science Diet Dry Pet Food coupons! 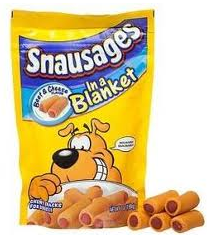 Family Dollar Store: FREE Snausages Dog Treats! You can get some FREE Snausages Dog Treats from Family Dollar Stores! There is a new $1.50/1 Snausages coupon here (sort by Pets) and they are only $1 at Family Dollar stores – so completely FREE! There is a $1/1 coupon in the 5/6 RedPlum too for even more free dog treats! 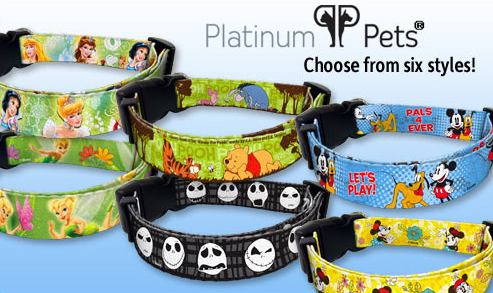 *HOT* FREE $5 Credit = Disney Dog Collars Only $3 + FREE Shipping, Plush Toys $3! There are some more awesome deals on Doggyloot as of this morning! Today they have these super fun Disney collars for just $8 so after your $5 credit, (for signing up here) you will pay only $3 + FREE shipping! 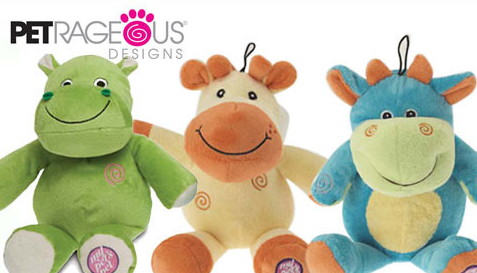 I also spotted these new One ZooRageous Plush Toys (pictured below) for $8 so again just $3 shipped! When you sign up for Doggyloot (a daily deal site filled with dog toys, treats, grooming items, etc) through this link here you will get a FREE $5 credit! The credit will be applied at the very end of checkout. To make this deal even sweeter, everything has FREE shipping and there are toys starting at just $8 so only $3 after your credit ($1.50 for each toy included). A two-pack of KaleidoBALLS only $3 ($1.50 per ball) shipped (Reg. $22.00!) – pictured at the very top! Show your puppy love! Get Purina’s FREE Puppy Care eBook today! If you live near a PetSmart and have a dog or kitty then you may love this next deal. = FREE + make $3! = FREE + make $3 and get a FREE can! 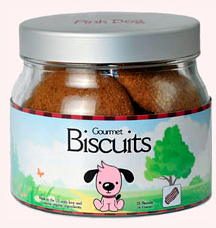 *HOT* FREE 4 Pack of Pink Dog Bakery Biscuits! Pink Dog Bakery is giving out a FREE samples pack of their Gourmet Biscuits. This trial pack of 4 biscuits lets you try all their flavors, including Bacon Biter and Chicken Craver! Do you have a dog that you love? 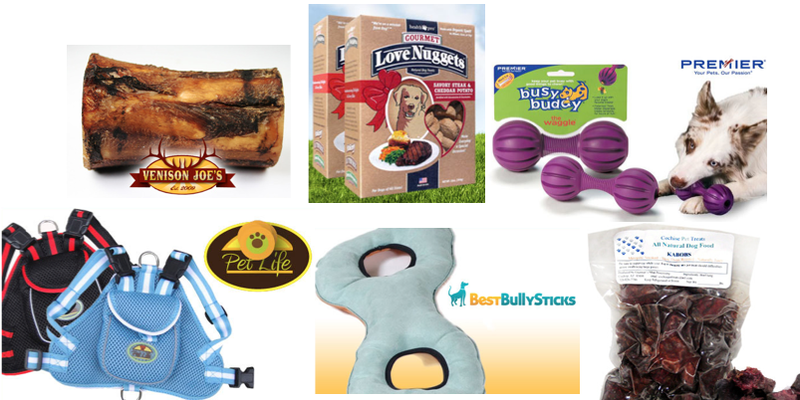 With Doggyloot you get great deals on toys, treats, vitamins and more for your dogs. You will get not only the best deals but also a HUGE COUPON a day!!! How awesome does that sound?! ?